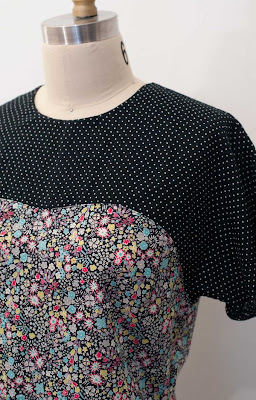 Alexia Abegg from Green Bee Patterns! 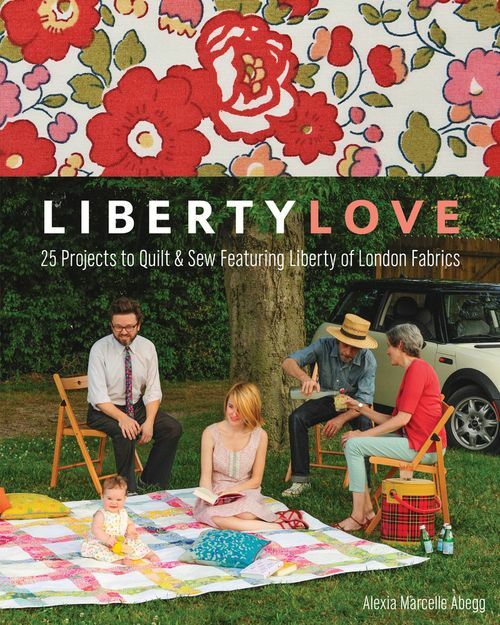 Please join us at Sew L.A. on Sunday May 5th for a party to celebrate Alexia's book, Liberty Love! We carry her Green Bee line of patterns (I have a crush on the Amelia Dress!) and were psyched that she was willing to travel all the way from Nashville to party with us. We'll be swinging right into the reception at 5pm (after the workshop detailed BELOW) and going strong till 7. As always, look forward to fantastic snacks & drinks created by Devon, Haley & Christine! 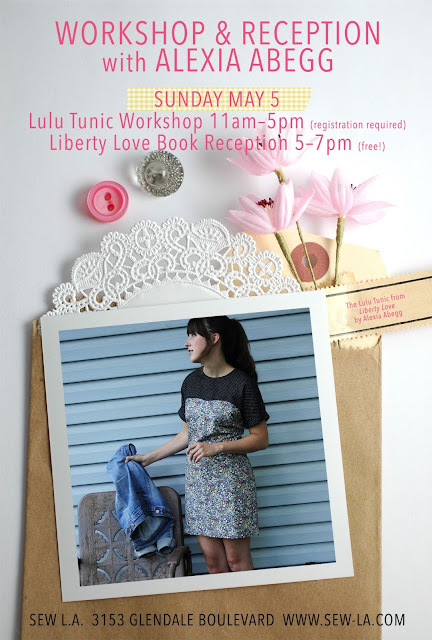 We are so happy to welcome Lisa to Sew L.A. for this very special workshop! 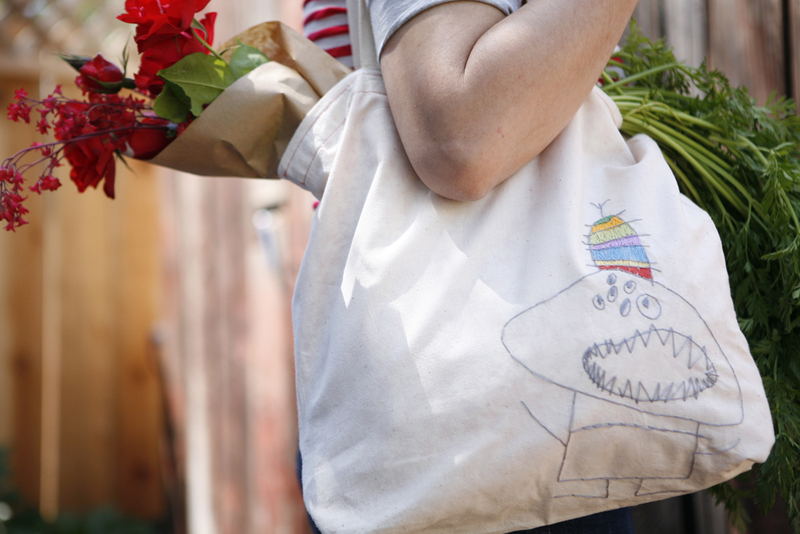 Fresh from teaching at Purl Soho in New York, she's got some lovely projects in store for you. 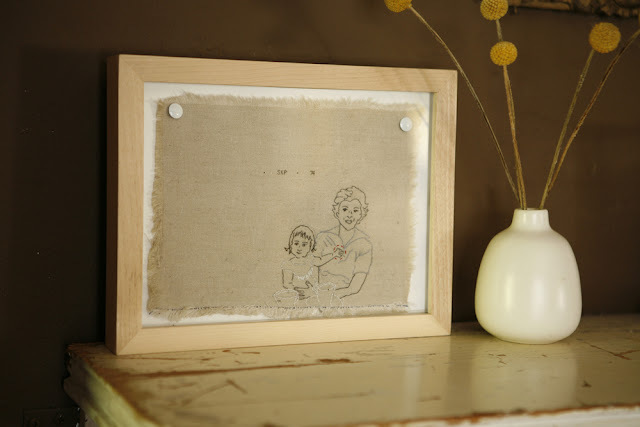 You'll learn how to transfer an image - a drawing or photograph - to fabric and then Lisa will show you how to embellish it beautifully with embroidery. Click here for all the info and to sign up - spaces are limited for this one-time workshop! Also, any and all can join us after the workshop for a BOOK PARTY for Lisa's 'Knot Thread Stitch' book - she'll be there to mingle and chat and of course sign your book, and we'll have snacks and libations set out between 4:30 and 6pm. We'll see you there!